Episode #8 is the penultimate episode of Series One. For this episode I was overjoyed to speak to and write music with the amazing composer, Emilie Levienaise-Farrouch. 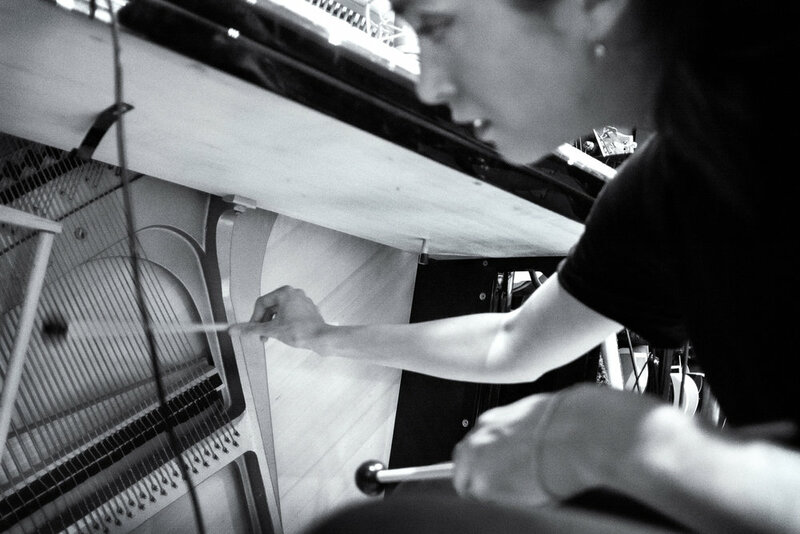 Emilie's practice focuses mainly around a central piano sound (being a pianist) that acts as a spring board for expansion into electronics, sound design and beautiful string writing. Emilie has released two album, both of them using an instinctive writing process beginning at the piano before it evolves beyond. Like Water Through The Sand and Époques were released on FatCat Records, the latter was released July this year. Both have received much critical acclaim. Her music finds it's way into other artistic circles including writing film scores - 'Only You' being one that is set for release this year - as well as collaborations with visual artists, for example a recent piece for an exhibition at Knole called 'A Woman's Place' where she teamed up with Alice May Williams to provide the soundtrack and sound design for Alice's film. I hope you enjoy this, the last episode of series one. PS fingers crossed all these tracks will be released as an album later this year. In this episode we meet at a quirky cafe in North London called Edith's House (see picture right), so excuse the occasional background noise. I should also point out that the episode has been split into part A [CHAT] and part B [MUSIC MAKING] make sure you check out bath parts. Watch Emilie's recent music video for the closing track of her album, Morphee. Thanks so much to Emilie for being such a wonderful guest.